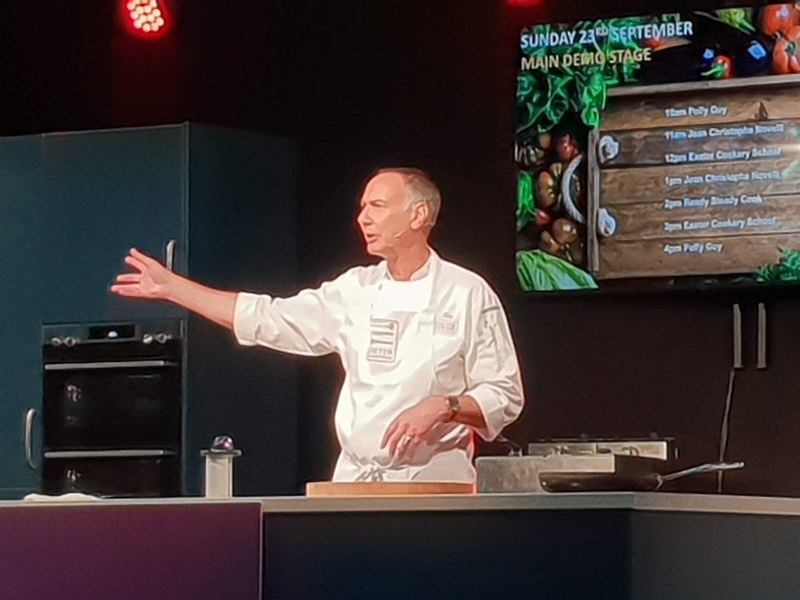 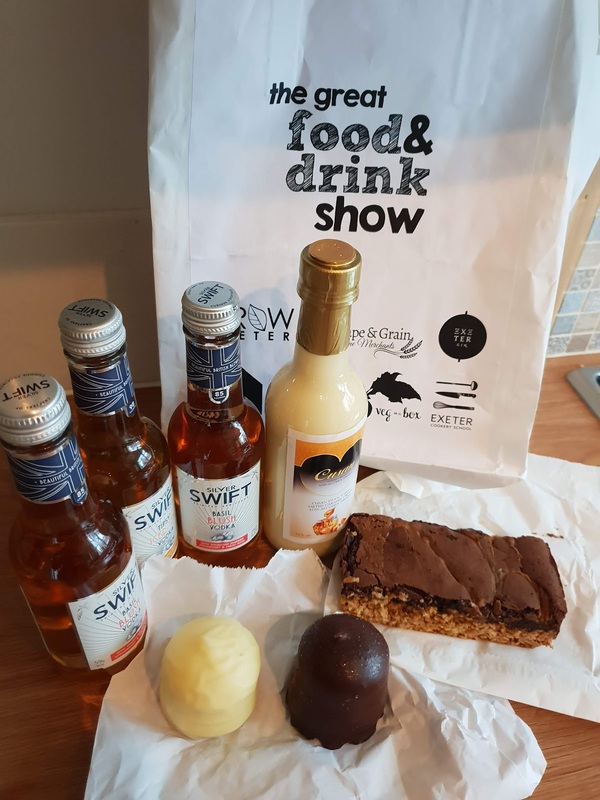 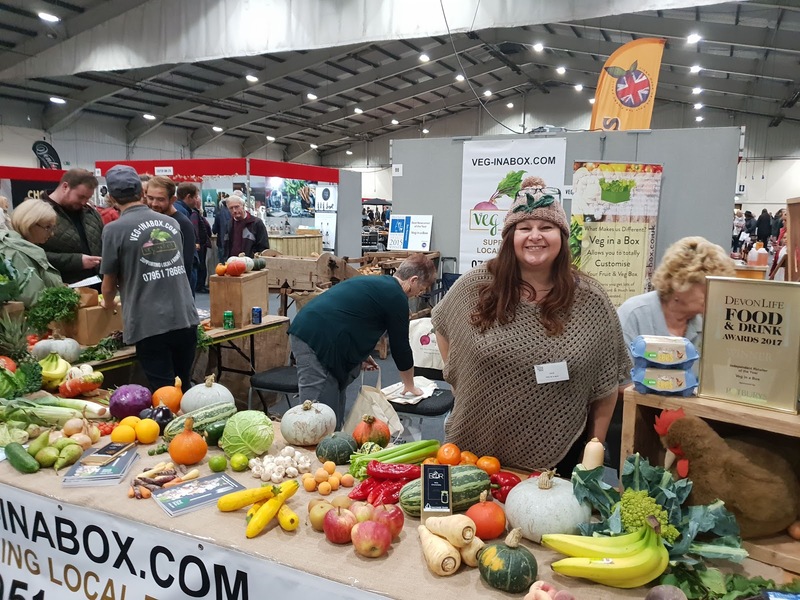 This year an exciting foodie event was held at Westpoint Exeter, The Great Food and Drink Show. 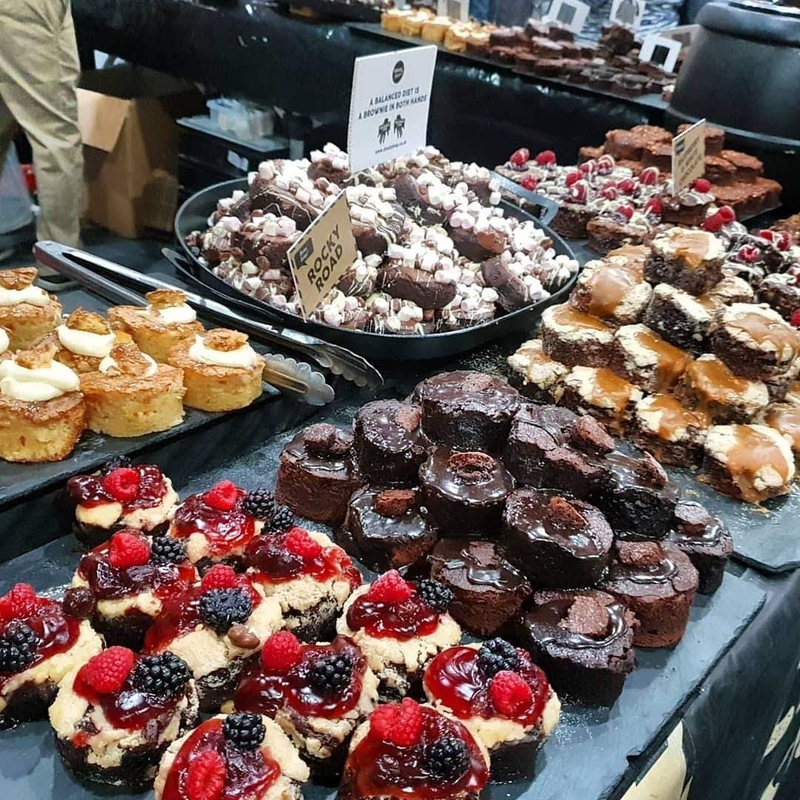 With an incredible line up of top chefs, and a range of hand-picked local food and drink producers and retailers. 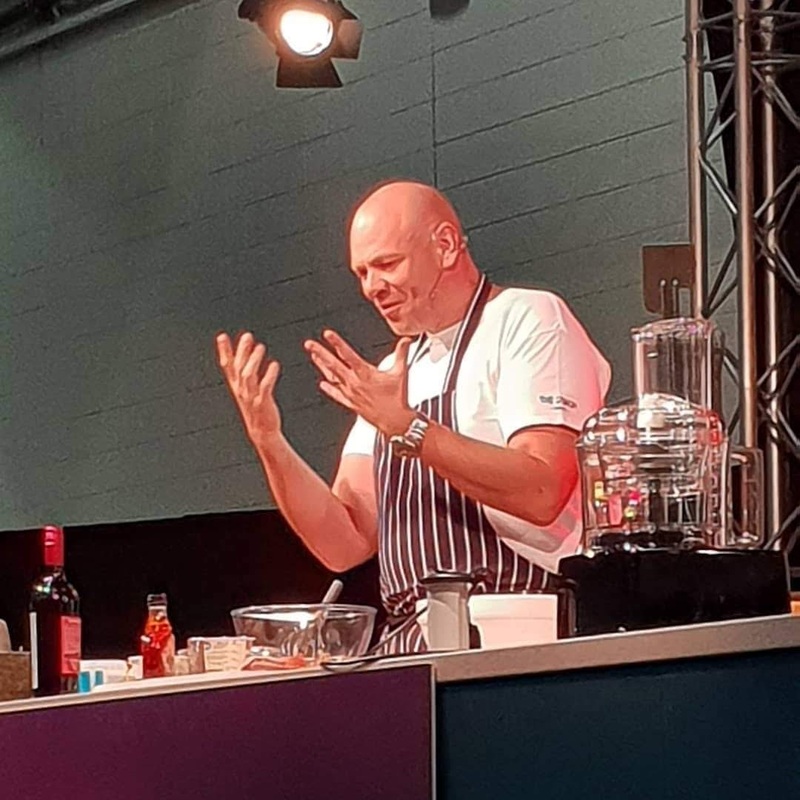 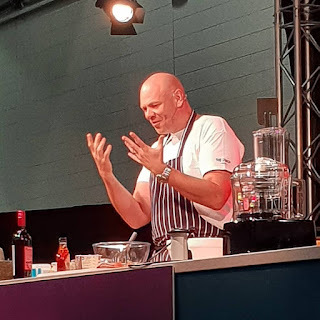 The Saturday headliner was Tom Kerridge, the Westcounrty born Michelin starred chef with an amazing stage presence and infectious laugh. 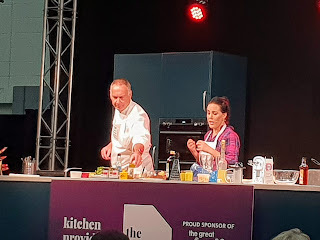 I have been a massive fan of his for a long time, so was super excited to get the opportunity to watch a cooking demo from him. Alongside Tom on the line up was the inspirational Polly Guy, TV chef, food blogger and winner of Come Dine With Me Champion of Champions! 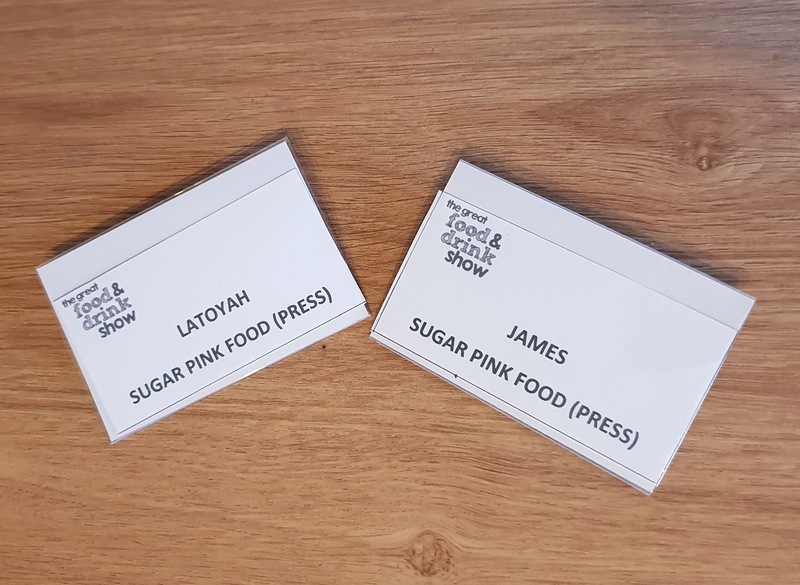 Holding the show together was friend of Sugar Pink Food, Jim from Exeter Cookery School! First up we watched the amazing Polly Guy show us how to make an incredible lemon dessert, made with her own lemon curd. 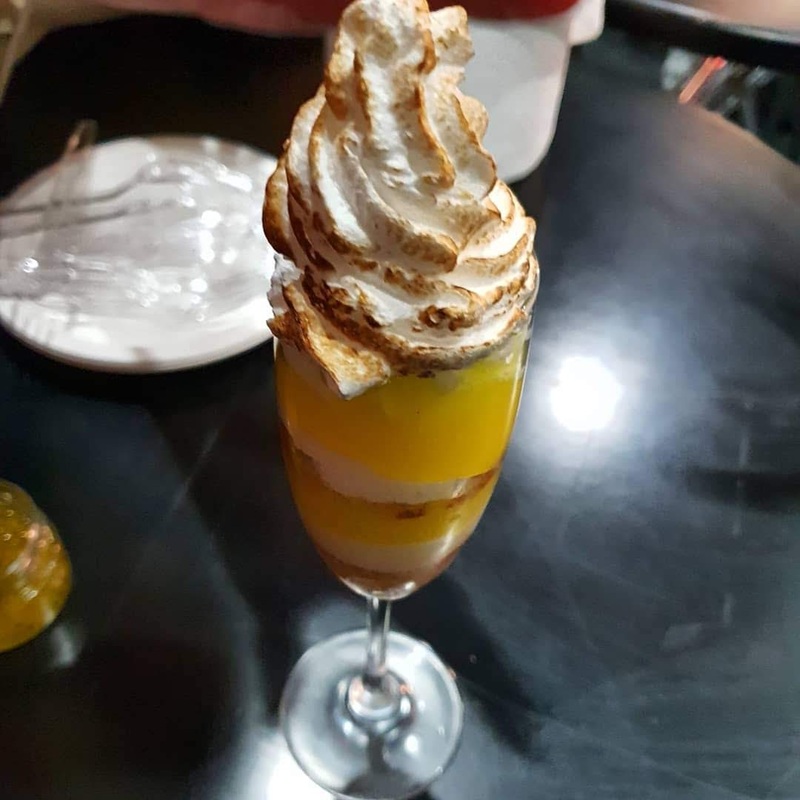 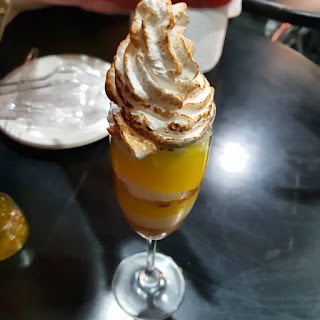 I was lucky enough to get to try a spoonful, and it was delicious! 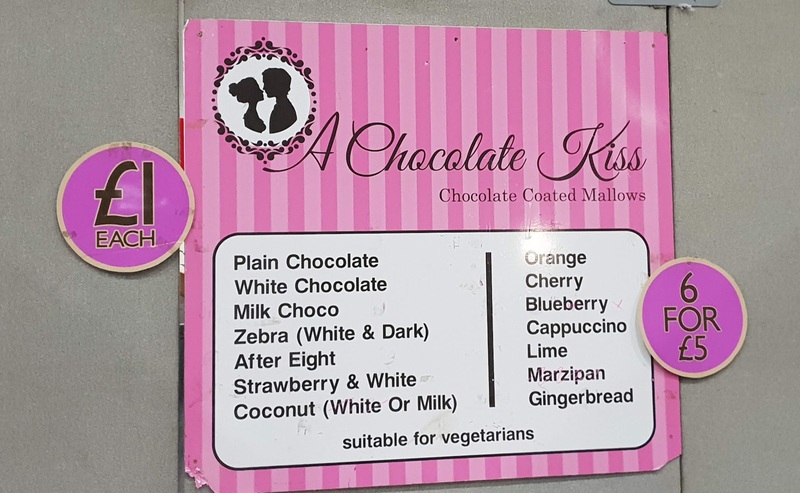 She also sells preserves so I will definitely be buying ALL of the available lemon curd! 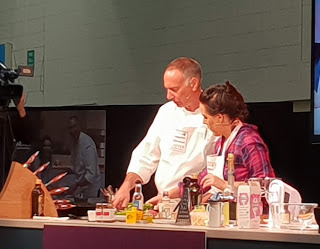 Polly was accompanied by Jim from Exeter Cookery School. 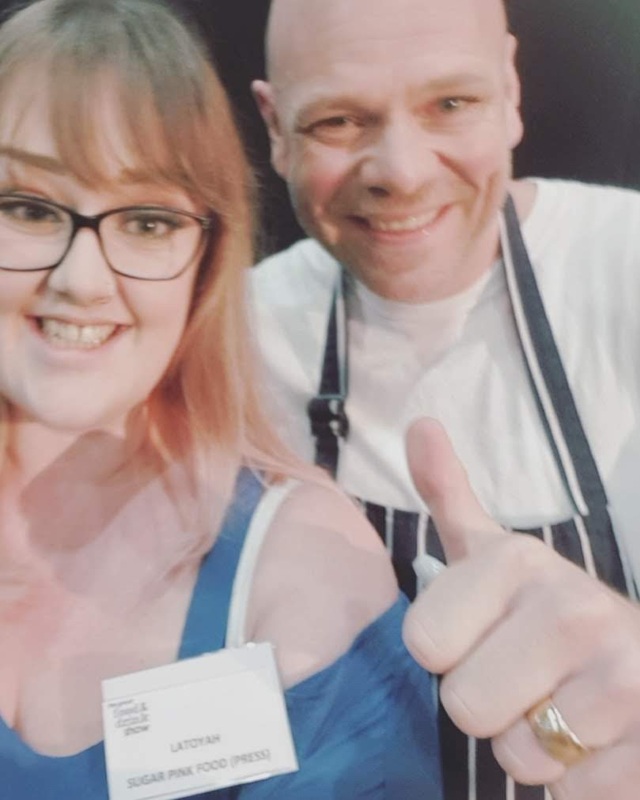 Next up was the main man himself, who taught me a potentially life changing tip that I will by trying out and writing about in a separate post soon! 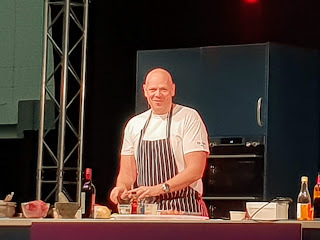 He cooked a mackerel starter where he cooked the fish with a blow torch! 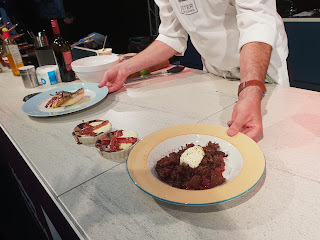 A chilli con carne and a blueberry pudding with bacon. The smells were absolutely amazon, and sadly I didn't get to taste any. I did, however, get to meet the man himself- which really made this the perfect day! 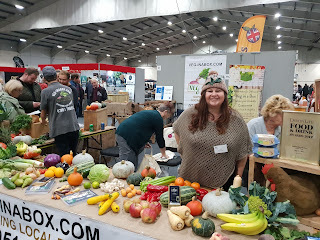 The lovely Julie from Veg In A Box was there with an awesome display. Some of the delicious brownies on display! 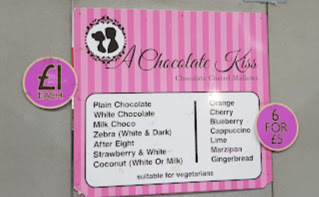 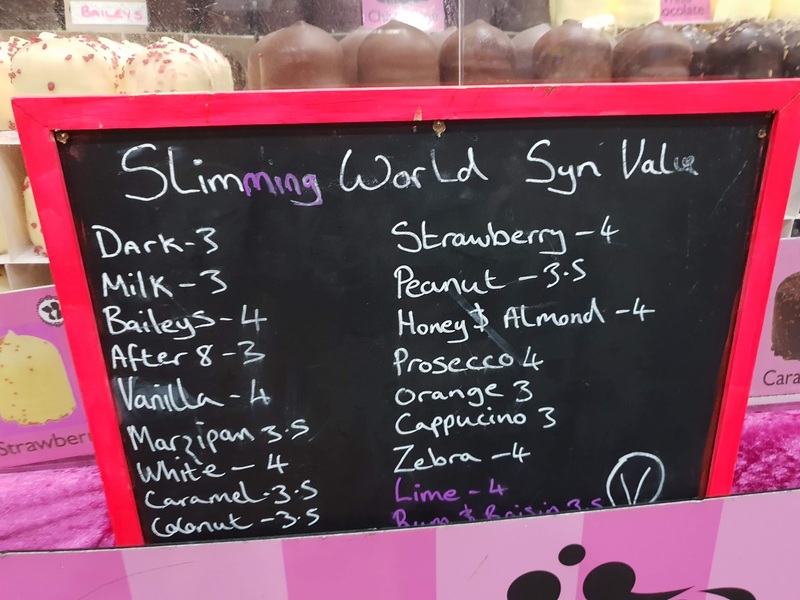 Another personal highlight was finding a stall that listed the syn value of their tasty chocolate kisses! 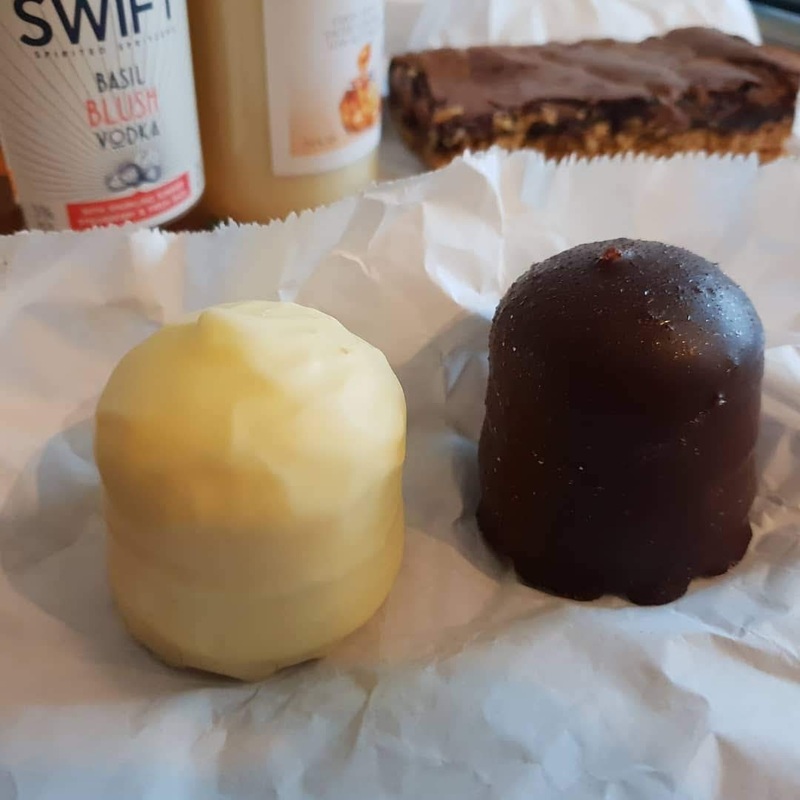 We got a couple to try, a prosecco and a white chocolate. The treats that we took home for the day were some Slimming World friendly chocolate kisses, some vodka and gin spritz and salted caramel cream liqueur! 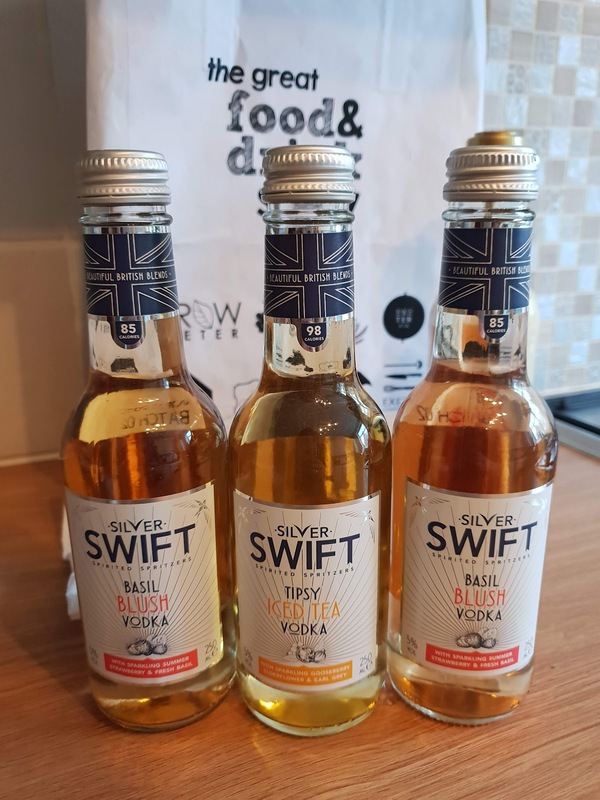 We also picked up some drinks from Silver Swift, some tasty vodka spritz! One is 'Tipsy Ice Tea' and the other 2 are 'Basil Blush', they are super tasty. 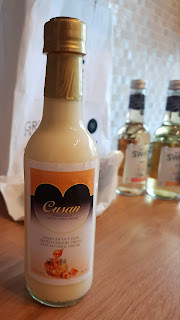 One of the absolute treats we brought home was this salted caramel liqueur from Cusan Liqueurs! 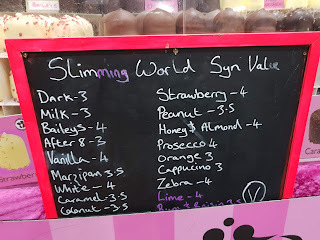 We had a great day out, but just wish there had been a few more retailers for us to look around.